Because Twitter is the place where grown-ups go to fight like middle-schoolers, we are once again privy to men engaging in a fight that could have just been a bunch of mean notes stuffed into a locker. The players in this drama are recovering bowtie enthusiast Tucker Carlson and professional lawyer stereotype Michael Avenatti. 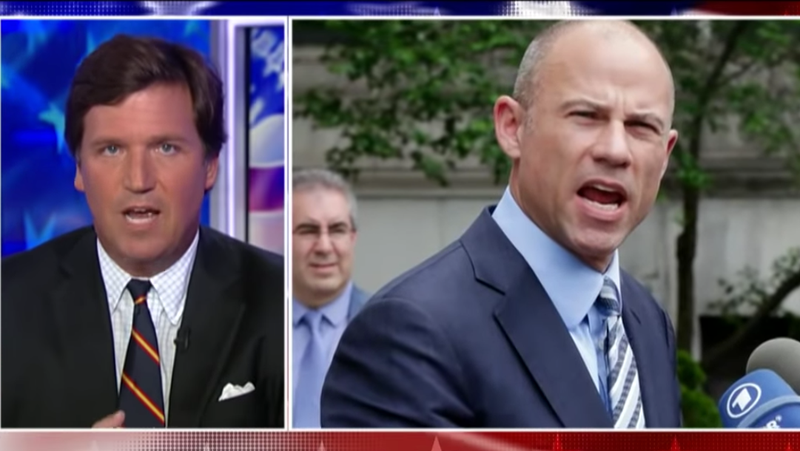 Avenatti claims to be representing the as-yet-unidentified man grabbed by the collar in the video, who may have been assaulted by Carlson and son. Carlson claims the club revoked the man’s membership in the wake of the incident. Meanwhile, Avenatti is looking for additional witnesses. It’s been a long news cycle, you two. Everybody’s tied and cranky, and you kids have been playing together too much. It might be time to just take a break from each other for a while.